WWW, October 2007 - Steel Pulse, Aswad, Sly and Robbie, Dennis Brown, InI Kamoze: they're all there to sing and chant the classic conscious anthem "Get Up, Stand Up". The year is 1985 and the television program is called "The Tube". The program was interesting, as many bands and artists would show up to perform live before the studio camera's. In this video-clip, it's not just one artist. 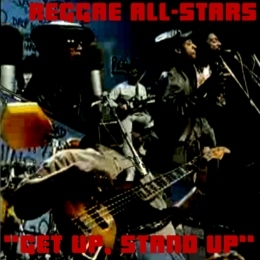 Backed by Sly and Robbie, a whole host of vocalists enter stage and together they sing the classic "Get Up, Stand Up". Don't expect a choir-vibe, though. 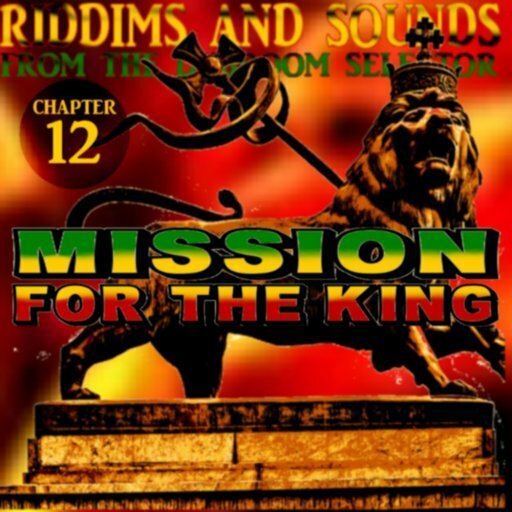 The music is crucial and the singers blend in with the riddim as usual within Reggae Music. WWW, October 2007 - Recorded in an empty stadium, we'll meet a young UB40 in the official video-clip of one of their first major hits. And they tell it like it is! The year is 1981 and the economical crisis in the UK produces a high number of unemployed. They have to fill in their UB-40 form in order to get some money to live. A group of young Reggae Lovers decide to take matters into their own hand and form a band. They name the band UB40 and release some very strong material. Social injustice, and other forms of Babylon Downpression are named for what they are. The band would reach world-stardom in just a few years. Known for their specific -commercial- sound, they released one hit after the other. In this video-clip, we'll meet the band just after they started. 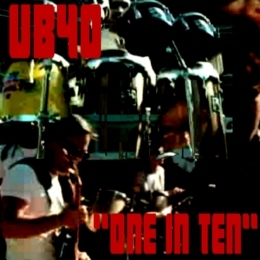 "One in Ten" is a strong accusation against the Shitstem for making people into a number, "a statistical reminder of a world that doesn't care", as the lyrics go. WWW, October 2007 - From serious UK Roots and DUB to heavyweight Jamaican Rockers and everything in between, DJ Ian Irie of the Ambassada Hi Power comes again to bring niceness in the area! Ian Irie doesn't just play tunes, he actually works on them and adds all kind of things in the process. Sirens, echo's, jingles, every knob on the mixing board that can be touched will be touched. The result is an experience that can only be provided by veteran Sound systems such as the Ambassada Hi Power. Take Roots, Culture & DUB Steppa, for example. Deep, deep basslines from Mafia and Fluxy open up a strong selection of known and unknown UK DUB and Roots tunes. This selection itself is just the first half of yet another excellent non-stop mix skillfully mixed by DJ Ian Irie. The second part is reserved for Jamaican classics, equally mixed together in authentic Sound System style. WWW, October 2007 - You could call this classic Toots and the Maytalls track Reggae's answer to "Jailhouse Rock", in a way. They were said to have come up with the name of the music that we love so much when they did a tune called "Do the Reggay" back in the 1960's. With tunes like "Reggae Got Soul" and other energetic titles, they managed to create their own specific brand of Reggae in the decades that were about to follow. 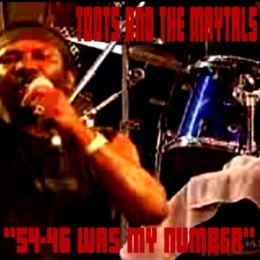 Toots and the Maytalls are also legendary because of their live performances. In this video, we will meet up with the band as they are about to perform another classic tune. 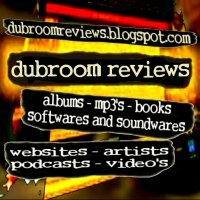 WWW, October 2007 - After watching this great video clip, you will want to have the free download of the MP3 file straight from the Burning Spear website. Nuff things can and must be said about Winston "Burning Spear" Rodney, as he has been working for decades and decades in a tempo that not many are willing to even imitate. But they should not be said at this place. It's time to walk. 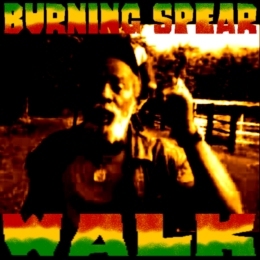 Time to walk and look to the video, then time to visit the Burning Spear Website for some more. Nobody really knows just why he burned down his Black Ark studio, but everybody knows the sound he produced throughout the 1970's. A whole host of Reggae Artists played and voiced crucial material into his multitrack recorder, creating classics like "Heart of the Congo's" and "Police and Thieves". Some albums released under his own name, though, would contain phrases that revealed Perry's personal dislike for the themes covered by the Dreadlocks that would provide him with music for his studio. Maybe that's an indication why he actually burned down the Ark and now speaks in interviews how he hates dreads. The title track of the 1972 album features the legendary Reggae Hornsman Tommy Mc Cook, among other stars. Widely considered to be a pre-cursor to the more heavy forms of DUB, this classic instrumental doesn't yet have the Black Ark sound that made Perry his name. WWW, October 2007 - Starting off with an a capella clip, this strong video by another conscious Reggae vocalist will definitely inspire the hearts and souls of the downtrodden of this earth. Righteous Lyrics and Reggae Music form a wonderful combination that somehow touches right through to the heart. This mystical thing is often referred to as Word, Sound and Power. 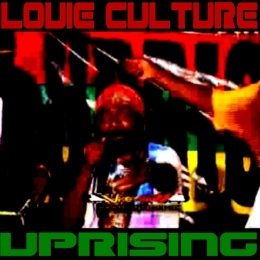 Louie Culture definitely knows how to combine word sound and power. The video perfectly illustrates what the word and sound is all about, showing the power in a very inspiring way. 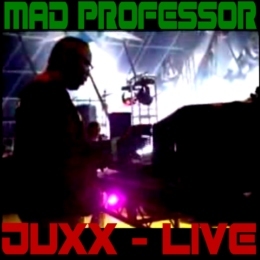 WWW, October 2007 - Always nice to see the Mad Professor live, creating a Dub mix in front of an enthusiastic audience in his own special way. That special way is perfectly caught on video tape by One Vizion, who graciously donated this great clip from their upcoming DVD to the online (DUB) Reggae Massive. 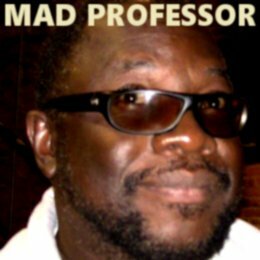 When the MC introduces the tune Juxx by Max Romeo, the Mad Professor starts off kind of easy and let the music just play along with the vocals. Then we get a WHEEEEEEEEEEEEEEEEEEL after which some heavy duty DUB mixing takes place. WWW, October 2007 - Michael Rose, Puma Jones and Duckie Simpson during the most successful days of Black Uhuru, backed up by an all-star band. Black Uhuru was formed in the 1970's, subsequently changed membership and when Sly and Robbie became attached to the name Black Uhuru just as much as the singers themselves, things really started to roll. The music became a Sly and Robbie project, in which they would and could express their continuous progressive view on the music. They would incorporate rock, electronica and all of this would be done in such a way that even the most conservative Reggae fan would not be able to deny the massive work called Black Uhuru. In this video, we will meet with the group as they tour in the UK during 1981. 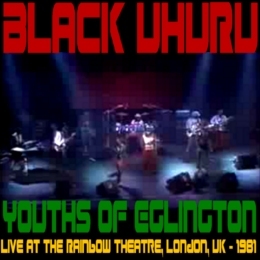 A year wherein Black Uhuru would perform with an all-star band throughout Europe and the rest of the world in order to entertain a very diverse audience. WWW, October 2007 - TWO TONES: More than just a label. The Two Tones were Black and White. 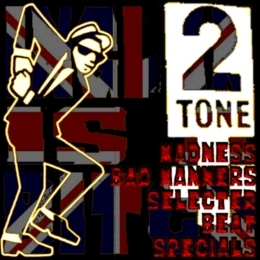 Two Tone Ska incorporated Reggae, Jamaican Ska and even Punk with the sole intention to chant down racism. Most people will associate skinheads with white racists having more hair than brains. The bomber jacks, army boots: they're a too familiar sight in Europe and elsewhere. There's a similar thing going on with the word SKA. Reggae lovers will know, that the word refers to one of the predecessors of Reggae Music. Ska is Jamaican Music from the 1960's. Ska is also music from the 1980's, centered around a label called TWO TONE. The name of the label was soon to become the name of a Movement, wherein a large part consisted out of anti-racist Skinheads who, you could say, knew their Roots. 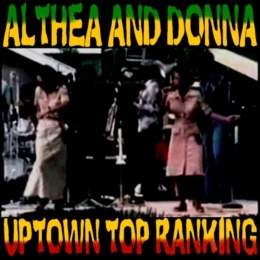 WWW, October 2007 - With their major hit "Uptown Top Ranking", Althea and Donna wrote their name in the book of Reggae Legends throughout the history of Reggae Music. The vibes of the time are perfectly captured in this video-clip, containing the live sounds and sights of Althea and Donna live in concert, combined with shots from Jamaica in the 1970's. WWW, October 2007 - 73 Minutes of pure Roots and Culture: the Ambassada comes once again to increase our consciousness with some skillfully mixed Reggae Music of different times and places. 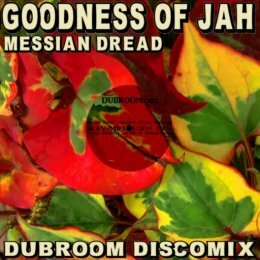 The Dubroom promotes (DUB) Reggae and Consciousness. The debate obviously continues as to what is Reggae, what is Dub, what is Consciousness. 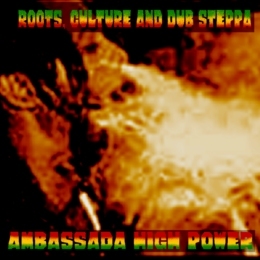 There will be little disagreement over this great mix from the UK based Ambassada High Power Sound System, though. The selector takes us deep into the riddims that he plays. It's not just playing a tune, it's actively working with them. Chapter and Version! Of course: the Ambassada High Power Sound System has a long history starting in the 1970's and so the experience is there big time. You don't tell the Ambassada just what is Reggae, for he will tell you! The vocalists draw our attention to the worship of Creator, share about the sufferations ina Babylon and call for justice and equality. Chanting down Babylon, often referred to as "wiping away transgression and setting the captives free" is going on bigtime, too. 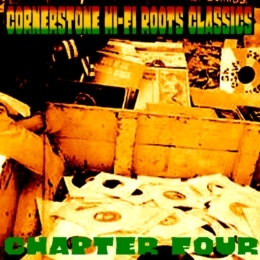 Seventy-three minutes of pure (DUB) Reggae and Consciousness. WWW, September 2007 - Yellowman was a remarkable personality when he came to the scene during the Rub a Dub days. See a great performance on Reggae Sunsplash during these days. Yellowman (Winston Foster) made his reputation at his excellent live performances on the Aces Disco Sound System. Like no other, he was able to improvise lyrics live and direct. 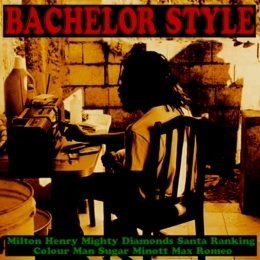 He was even featured on the first even live dancehall album to be officially released. 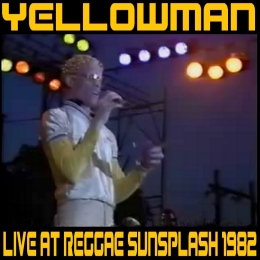 In 1982, Yellowman is simply called "King Yellowman". That's why he's one of the guests of the Reggae Sunsplash festival. He rules the dance and even more than that. It wasn't easy for King Yellow to reach to the top. He sings open and without any censorship about it, while the audience receives every word with pleasure while they give him the respect he deserves. WWW, October 2007 - In this revealing interview, Mikey Dread talks about his story and exposes an imposter, while some of his best tunes are played. Welcome to Bad Gals Radio! "Dread at the Controls" makes the heart of every Reggae love beat a little bit harder. The name of the first Jamaican Reggae Radio Show ever to flow over the airwaves rings a bell to everyone even remotely familiar with the history of Reggae Music. The Dread at the Controls was Michael Campbell, aka Mikey Dread. An accomplished vocalist, producer and performer, the brother is active until this very date. In the September 30 episode of Bad Gals Radio, Mikey Dread joins the host Mama Asid for the first part of a very interesting interview, in hich he reveals how the classic "Barber Saloon" was never intended to be released, and more interesting details concerning his story. There is also another reason why this interview should be heard. 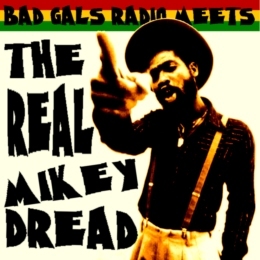 The fact that Mikey Dread is a well-known, open and friendly Rastaman who is willing to go very far to just promote Reggae Music, unfortunately also attracts vampires. Vampires who will use the name Mikey Dread without being Mikey Dread. Who will run around pretending to be the original Dread at the Controls without being him. Unfortunately, the sound quality of the interview is really, eer... bad. WWW, September 2007 - Burning Spear and Mutabaruka are both well-known for spreading their Rastafarian message. In the year 1982, Rub a Dub music was the most popular form of Reggae. But definitely not the only one! DUB Poetry was already made into a genre of itself, spearheaded by ones like and Mutabaruka. Deep Roots Reggae was well represented by Burning Spear and was -in spite of preterists who like to think Roots is something of the past- not about to go away either. 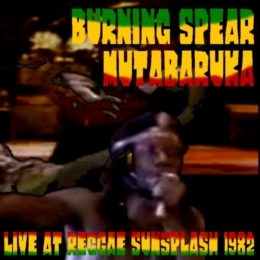 Burning Spear and Mutabaruka both performed on the Jamaican Reggae Sunsplash festival, the "Mother of all Reggae Festivals" if you will. In this video we are treated with two excellent tracks performed by the two strong vocalists. WWW, September 2007 - The Crown Prince of Reggae joins the Riddim Twins to bring a message of encouragement to the nation: time for a Reggae Revolution! 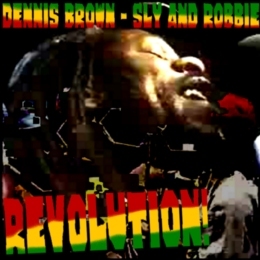 The video records Dennis Brown at his best, this is obvious the second you start playing the video. He becomes stronger and stronger throughout the track, while Sly and Robbie provide their solid foundation in their own cool way. WWW, October 2007 - 30 minutes of heavy skanking on some rare and underrated Reggae Music cannot be denied by the serious lover of Reggae Music. Bachelor Style takes us back about two decades in time. 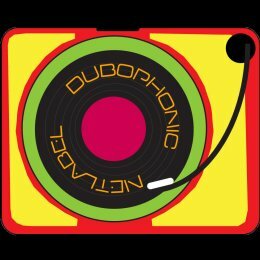 A time wherein Rub a Dub music slowly became Dancehall and digital possibilities entered the Reggae Studio's. Drum computers and digital effects were kind of new back then, which resulted in some interesting experiments and instrumental combinations of which we can hear 8 great examples in this selection. WWW, October 2007 - Shot at location in one of the most heavy areas of Kingston Jamaica, this impressive video by the well talented Reggae vocalist obviously deserves to be viewed and felt. Starting of with a quote by MLK, the video sets the tone right from the start. Shots from poverty versus extreme wealth, everything can be found within a few square miles. The injustice that this situation screams out is very well translated into yet another crucial Reggae Riddim that will touch the heart and soul of every living individual who cares. WWW, October 2007 - If you can, take a spliff and feel. Feel the deep, deep DUB vibes of the Orb, Rhythm and Sound and others as they take us to outer space, beyond the border! Reggae Music and especially DUB has an enormous influence in the development of what we now know as contemporary electronic Dance music. In fact, the music would have sound quite different if it was not for the fact that well-known producers like the Orb are among the biggest DUB fans on the face of the earth. Drum, bass and effects are now the ruling factors in many musical styles, of which we find some examples in this second episode of the Jamaica Hi-Fi Podcast. 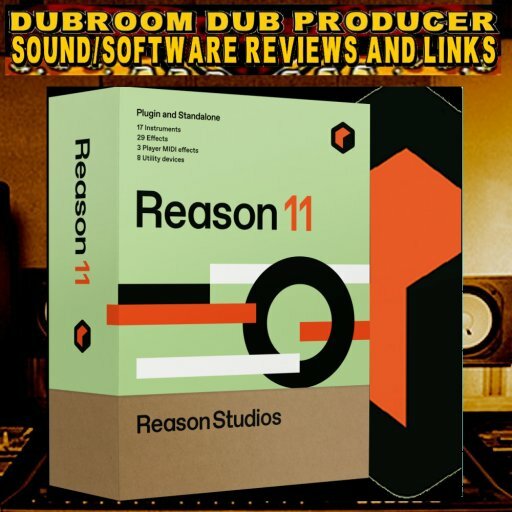 Reggae and DUB purists will recognize just how the Reggae formula is incorporated in the productions, each track coming with a different outcome. One track will be closer to Reggae than the other, one track will be more danceable than the other. We'll visit the UK, the USA and Germany to explore some chilled-out, yet intense productions all designed to enhance a positive buzz after enjoying a little bit of herb. So when you can, light one spliff or chalice and if you can't, don't worry bout that. The music will show you stuff anyway. WWW, October 2007 - In this deep DUBWISE experience, we will visit France, Austria, the UK, South Africa and Dominica for some crucial "Fruits Music" from the last 17 years. 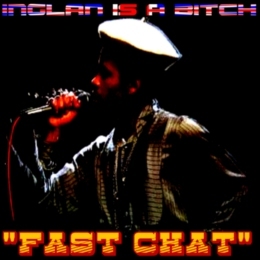 Arguable, the UK and the European continent have been more receptive for DUB techniques and music than America, perhaps even Jamaica. Some of the strongest drum and basslines are created right there, in the midst of Babylon, even influencing people to create music that will cross the borders of Reggae, but not those of DUB. Maybe it has to do with the fact that Europe can also be considered the musical center of the world when it comes to deep, electronic effect driven music. For DUB was one of the first styles to fit that description, if not the first. 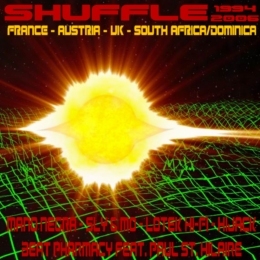 In "Shuffle", we will be treated to a number of crucial European productions, accompanied by one from the mother land: South Africa. The kind of music that will on one hand make you feel completely chilled-out, while on the other hand some deep drum and bass ensure a steady pace. Reggae purists will wonder just how much "Reggae" is left in some of the mixes, but if you listen close you will not really ask that question. Not everything may be "Roots Reggae", but it can definitely described as "Fruits Reggae"! WWW, October 2007 - Many people will credit U Roy to be the first Reggae MC, but I Roy was there right behind him. Here he performs -with band- for an enthusiastic audience. Usually, an MC will chant on a Sound system on top of a pre-recorded track. Sirens and other sound effects are added, people dance and thing while the selector puts one tune after the other on the turntables. The popularity of "Toasting" as this form of "Reggae Rapping" was officially called went Sky High. Especially after the concept crossed the musical border of Reggae with American styles like Hip Hop and Rap. 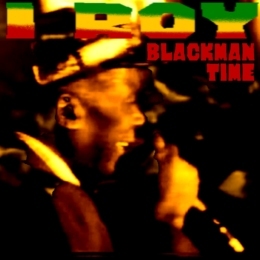 U Roy was said to be the first MC to rhythmically chant over the drum and bass driven rhythms, somewhere in the 1960's, but I Roy was right there behind him. He created hit after hit in the 1970's, many of them still considered to be classics until this day. In this video, we hook up with I Roy somewhere in 1995. Performing with a band, interacting with the musicians and the audience, yes this is another piece of niceness that will brighten up your day. WWW, October 2007 - Soaked in echo's and sirens, the Stricktly Rockers Podcast brings you 78 minutes of pure niceness in a very special way. The selection is simply great. 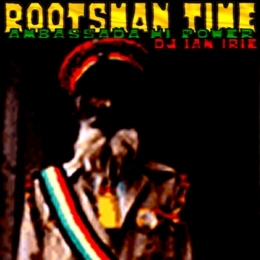 A well balanced mix between Roots Rockers and Rub a Dub style takes us back to the late 1970's, early 1980's. The podcast can be burned on a CD or put in the I-pod for some listening experience in the Outernet and especially when you're in love with effects, Cornerstone Hi-Fi Roots Classics will make you feel. When you don't like extra echoing and Sirens on top of the music, though, you may not really like what you hear. Sometimes, the effects and sirens are too much, too loud, especially for those that don't like to much playing with the music anyway. 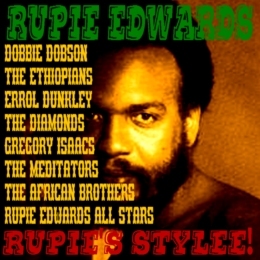 RUPIE EDWARDS - RUPIE'S STYLEE! WWW, September 2007 - Rupie Edwards is very much a singer as well as a producer. Forty minutes of crucial historical Reggae! When Reggae was a few ears old, it was time for another decade. The 70's were calling, and so were a lot of new producers and singers. Rupie Edwards was one of them, and until 1974 he scored a number of hits both as a vocalist and producer. 1974 was his big year, as he almost lived in the UK charts during the summer with a tune called "Ire Feeling". In that year, he also moved to London to work further on his musical developments. This selection doesn't come with that UK hit. Instead, we'll explore the versatility of Rupie's stylee as a producer and singer as we are being treated to vocals and dubs by a wide variety of different artists. WWW, October 2007 - Presented in classic Sound System style, this one-hour mix of conscious and spiritual Roots Reggae Music will definitely keep the Rootsman Skanking. King David loved conscious and spiritual music. That's why he wrote so many lyrics (called Psalms) and was known for playing music that would drive the bad vibes away. Kind of like spiritual and conscious Roots Reggae today, as I would say..
King David Style, as DJ Ian Irie from the Ambassada Sound System would say and play! 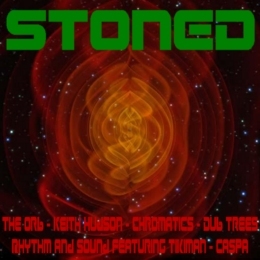 The mix is filled with special versions, remixes and unknown versions of well-known artists such as Johnny Clarke and Barry Brown. 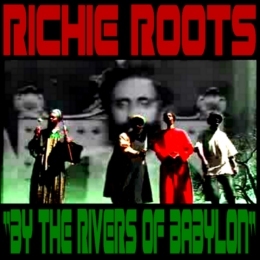 There's riddims from several times, showing how King David Style is Iniversal and Iternal. The Rootsman is skanking, indeed. King David is skanking. King Selassie I is skanking. I and I rejoice to the rhythm of the drum and bass line and give thanks to the Highest One once again! WWW, September 2007 - Almost three decades after the event, young and old will still be amazed by this massive performance of the Militant Wailer. The story is well-known. Bob Marley, Bunny Wailer and Peter Tosh formed the original (Wailing) Wailers back in the 1960's and subsequently they went their own way. Like Bob Marley, Peter Tosh made his own specific style within the rhythm of Reggae. Sharp guitars, fat productions, a lot of vibes resembling -then- popular forms of Rock music. Peter Tosh was by far the most militant of the three original Wailers. His typical -wailing- style of singing, combined with his dreadful appearance made you really want to pay attention to what he had to say. 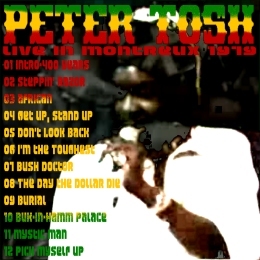 In this video, we will see Peter Tosh performing with an all-star list of Reggae Musicians including Sly and Robbie who are -needless to say- playing a solid foundation of drum and bass. The concert is one long line of Word Sound and Power. Impressive introductions and bridges between tracks, long improvisations on themes, it's all there. WWW, September 2007 - This must-see documentary reveals to great detail, just how Bob Marley's Reggae Music was transformed to make it acceptable for the European and American markets. When Bunny Wailer, Peter Tosh and Bob Marley formed their vocal harmony group The Wailing Wailers and started recording for Sir Coxsone Dodd's Studio One, it would mark the start of an incredible story. Not in the least, because the story of the (Bob Marley and the) Wailers is synonymous with the story of the world-wide popularization of Reggae Music. 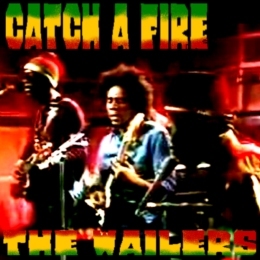 And "Catch a Fire" plays a crucial role in this story! When the album was produced, the Wailers were still together and Reggae Music was still seen as some local form of what is disdainfully called "World Music", a term that yet to be invented in the early 1970's. Chris Blackwell, then owner of Island Records, loved Reggae and came in contact with the Wailers. He gave them money to record their album in Jamaica, and then flew Bob Marley to the UK to work on the recordings. Chris Blackwell is interviewed, as is Bunny Wailer. Peter and Bob enter in, and a whole host of well-known names in Reggae and Rastafari donate some information too. The musicians who worked on the album in the UK enter into the video as well, telling their part of the story. The whole idea behind the album was to market Reggae to a new audience. Therefore, this video is much more than just the story behind the making of the album. If only, because the video reveals to great detail just how the raw Jamaican Reggae was smoothed and changed to make it acceptable for the Rock audiences of Europe and the USA. WWW, October 2007 - Adrian Sherwood's On-U Sound takes a special place within the catalogue of UK DUB and Reggae productions, ever since he started releasing. When you hear words like "experimental" or "progressive", more often than not you are listening to word that covers up an inability to work with the real deal rather than an accurate description of someone's productions. However, there are producers who have proven themselves to be worthy of carrying such descriptions and Adrian Sherwood definitely is one of them. He started his On-U project in 1980, and has been steadily releasing material that would at least inspire many other producers. Whether he recorded singers like Bim Sherman or DJ's like Prince Fari, every time he managed to add that special touch that would become his trademark to the day this is written (October 2007). Although Sherwood definitely knows his Reggae, he also mixes (elements of) other musical forms with the rhythm of the drum and bassline. 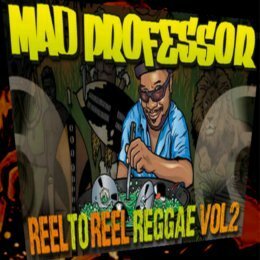 His philosophy and musical in-sight make him come up with original experiments and progressive productions that may not be appreciloved by the purists, but will be acknowledged by every true connoisseur of Reggae Music. In this podcast, we are being treated to 5 excellent maxi-singles from the Sherwood Stable, showcasing his material from especially the early 1980's. 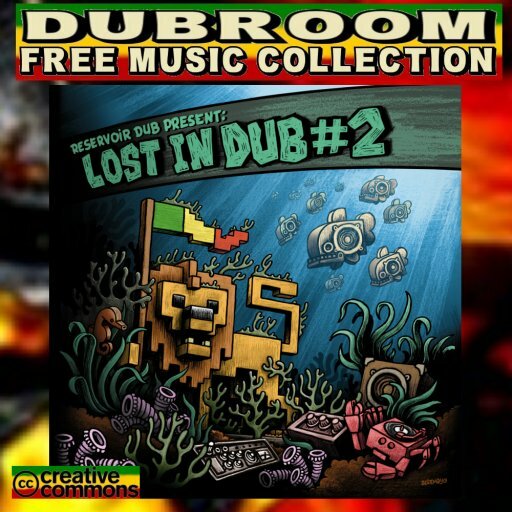 A deep, deep DUB experience like no other Sound can give On-U! 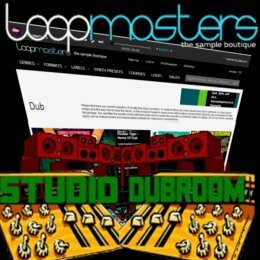 WWW, October 2007 - In the early 1990's, the drum computer and other digital technologies had definitely taken over the Jamaican Studio's and Dancehalls. It all started in the mid 1980's with the Sleng-Teng riddim, a production by Prince Jammy's. It was the first digital production and the people loved it. The Digital Revolution was a fact! Many people complain about these technologies. Let's call them preterists: people with a rather unhealthy love for the past. Drum computers and programming music would kill creativity, was the claim. Well, this podcasts proofs them wrong from the top to the very last drop. When you hear Dennis Brown, for example, singing out from his heart and soul or Frankie Paul who basically does the same, any claim that this music has no heart and soul is beyond the comprehension of the writer of this review. WWW, October 2007 - Ambassada High Power's DJ Ian Irie shows once again that he's selecting on a Sound System which traces it's roots back to 1978. With a healthy doses of Dubs and Vocals, Roots and Culture, the 5th episode of the Ambassada Podcasts will once again satisfy the need of the Rootsman posse inna Cyberspace. Over 45 Minutes of pure niceness, even a dub plate (original recording just for this sound system), all the necessary elements for another original Sound System experience are there. WWW, September 2007 - In the mid 1980's, Jamaica Music was Rub a Dub and became Ragga or Dancehall. 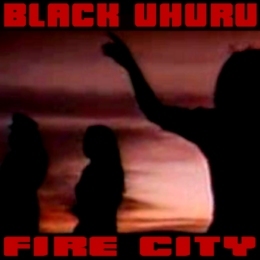 Sly and Robbie went a totally different way with Black Uhuru and Fire City is one of their tunes from that time. Again, Sly and Robbie combine what made Black Uhuru: Dub effects, strong drum and basslines with loads of militant lyrics on top of it, crucial instrumentation and a solid production. 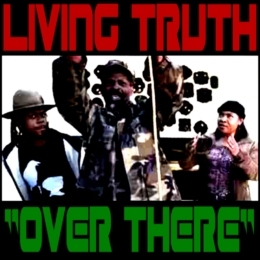 WWW, September 2007 - Produced by the son of a well-known unknown producer called Dennis Thompson, Living Truth is here with some crucial Word Sound and Power. 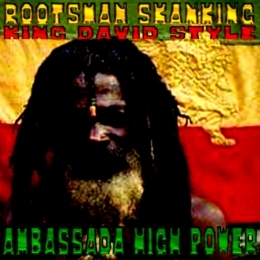 A cool Roots Reggae riddim serves as the foundation for an upfull lyrical work. "Over there" refers to Africa, and deals with our own possibilities "over here" to help our brothers and sisters "over there". This way, we get a better thing going on "every where". 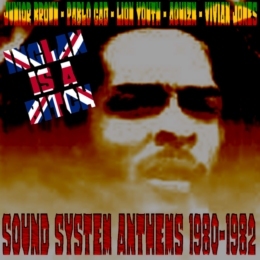 This extended mix is said to have been influential in what is known as the UK Roots sound. 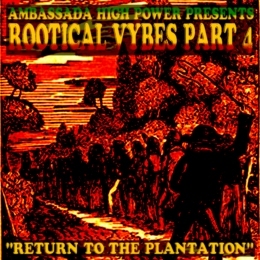 And indeed, describing the track is describing the sound as well: Militant steppers, lots of DUBwise, conscious lyrics. 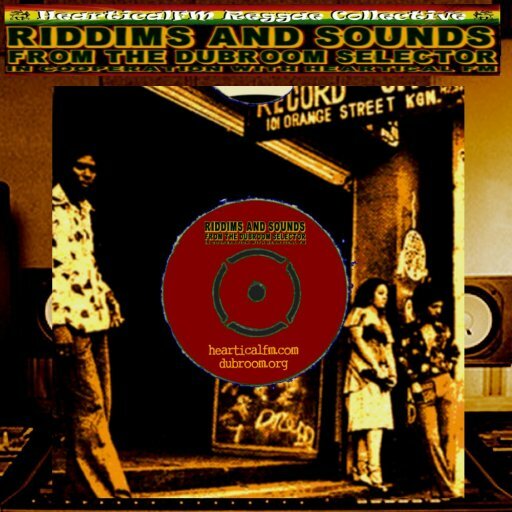 WWW, September 2007 - Smiley Culture's "Cockney Translation" is just one out of five great examples of the UK's answer to Jamaican Rub a Dub in the 1980's. When U-Roy started to chant over the instrumental versions played by King Tubby's Hi-Fi Sound System, many different styles were born. Throughout the 1970's, the DJ's chanted over the drum and basslines of dubbed out Reggae tracks. 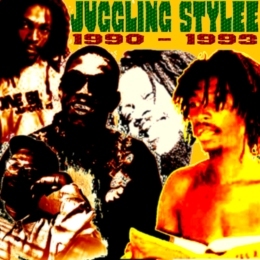 In the 1980's, Jamaica developed Rub a Dub music, with a strong DJ presence. In the UK, a similar development was going on. Saxon Sound System gave birth to a brand new genre when their MC's began to toast at warp-speed: the "Fast Chatters" came to take over and ruled the UK charts with classics like Smiley Culture's Cockney Translation. WWW, September 2007 - Discogroup Boney M made this psalm very popular when they scored a hit with their cover version of the Melodians track. 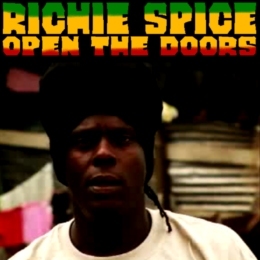 In this video-clip, we'll see Richie Roots as he performs the track again in a style that could be described as a modern version of Nyabinghy and Roots Reggae. The music is slow and spiritual, the sights are professionally without losing eye for the spiritual aspects. After all, the words come straight out of the bible and can be applied one-on-one to the story of the African people who were stolen from their homeland in order to work as slaves to build the great cities of Babylon. WWW, September 2007 - Taken from the album "Dub Side Of The Moon" which was a Reggae Remake of a Pink Floyd Album, this track brings us into yet another realm of DUB. Since Reggae Music is a rhythm rather than a style, it is possible to play "every" musical work in a Reggae Style. To re-make a complete album by a famous old-time non-Reggae band therefore is an interesting, yet not remarkable project. But this project is more than that still. 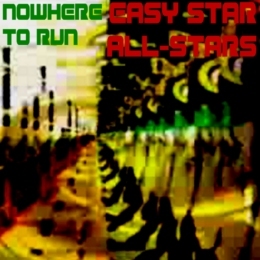 The Easy Star All-Stars did their best to explore deeper realms of Dub, to approach the whole concept in an original way. This tune, for example, isn't Reggae at all. It's an example of their exploration as they incorporate programmed Jungle Beats, ambient synthesizer soundscapes and more. WWW, September 2007 - The year is 1983 and the music of the time is Rub a Dub style. Many people credit Sugar Minott as the godfather of Rub a Dub, and he's right here to play at the "Mother of all Reggae Festivals"! The Reggae Sunsplash Festival can indeed be called the Mother of all Reggae Festivals. All the Reggae Legends have played there, the video's that registered the performances are desired objects for every collector. 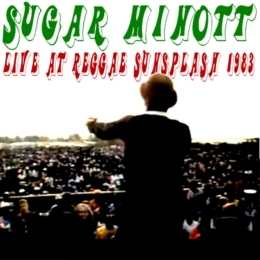 Sugar Minott's performance in 1983 was wonderful, as we can see. He's singing, dancing, performing, and behind him there's a full-blown Reggae band. Together they treat the audience to a magnificent, long version of "Rough Ole Life (Babylon)". WWW, September 2007 - It really doesn't matter for Sugar Minott whether he performs on an international festival for a massive audience or at home with his Sound system. He is said to have turned down contracts just to be able to promote the youths in his own Jamaican home base and so he does on his Youthman Promotion Sound System. 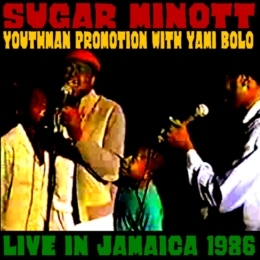 In this historical lo-fi video, we'll see Sugar Minott live and direckt with his some of the youths he's helping out. A very young Yami Bolo, for example. WWW, September 2007 - With five extended UK Roots and DUB classics from 1980-1982, here is another must-have for every self-respecting collector of quality Reggae Music. 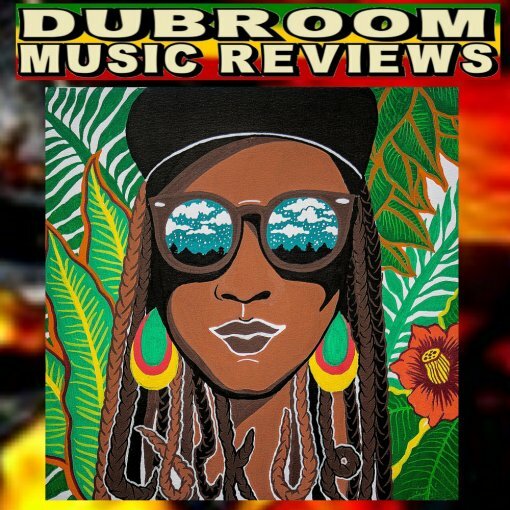 Open with an ultra-long DUB version of the Kunta Kinte Riddim, continue with a Jah Shaka production, move forward with Pablo Gad's classic "Hard Times", add a little Vocal and DJ combination and close off with a majestic steppers. There you have all five 12" tracks from 1980-1982 included in this great, great selection that gives a perfect soundscape of the early 1980's in the UK Roots scene.